This statistic illustrates the type of online purchases by individuals in the Netherlands in 2018, by buyer's origin. 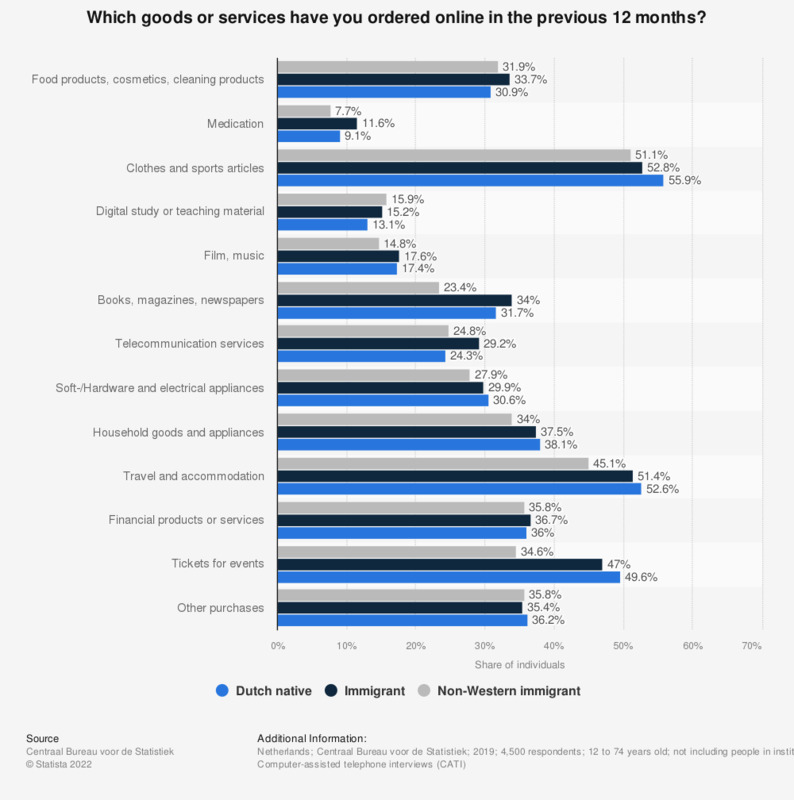 As of 2018, 9.4 percent of Non-Western immigrants in the Netherlands bought medication online. Definition of origin according to the source: Dutch native: "If both parents of the individual were born in the Netherlands." Immigrant: "Individual who has at least one parent who is born abroad." Non-Western immigrant: "Individual who has at least one parent who is born abroad." * Software for computers (including video games). Hardware for computers. Electronic appliances, such as mobile phone, camera, radio, etc. ** Household goods such as furniture, toys, washing machine, etc.